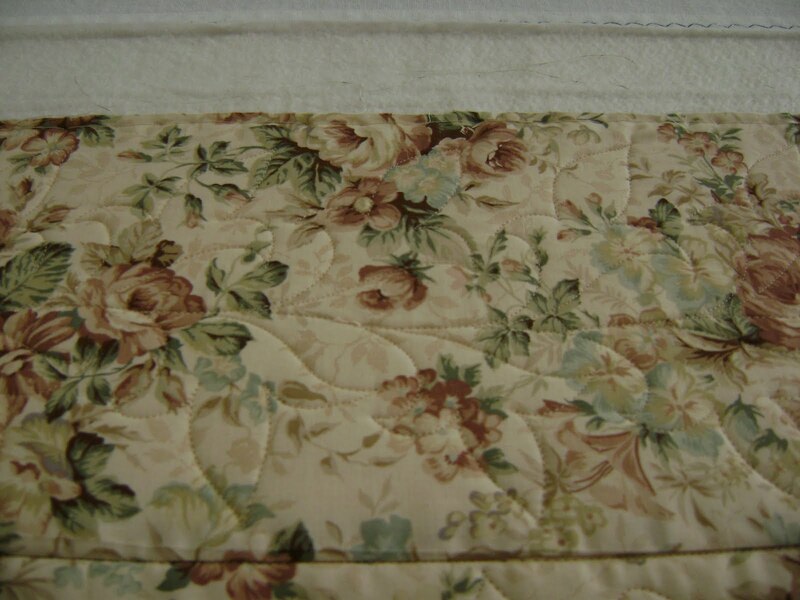 This is the next quilt of 2010. A long double size. 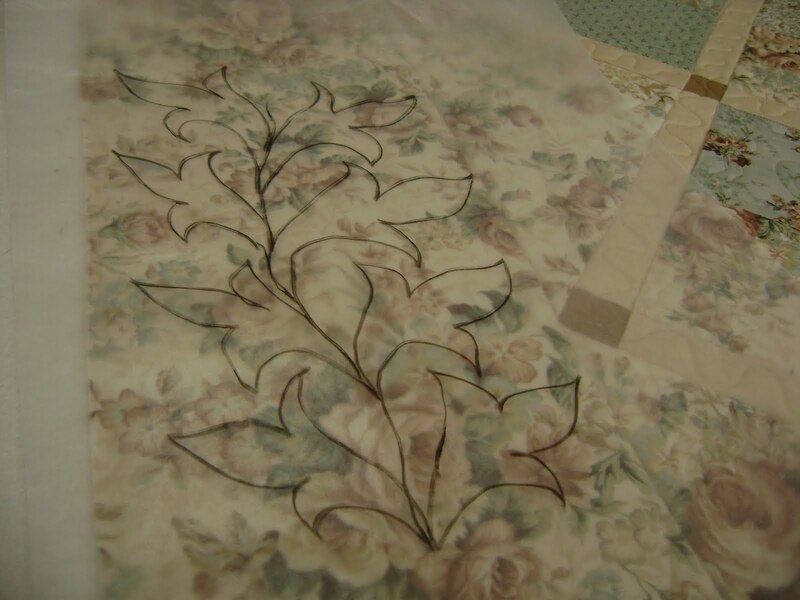 This is the border design. When the matching threads are so close in color it is hard to see. I can still show you the design. I can show you the wax paper drawing I use to audition designs. Here is the block design. I wanted to do more than just line dancing. 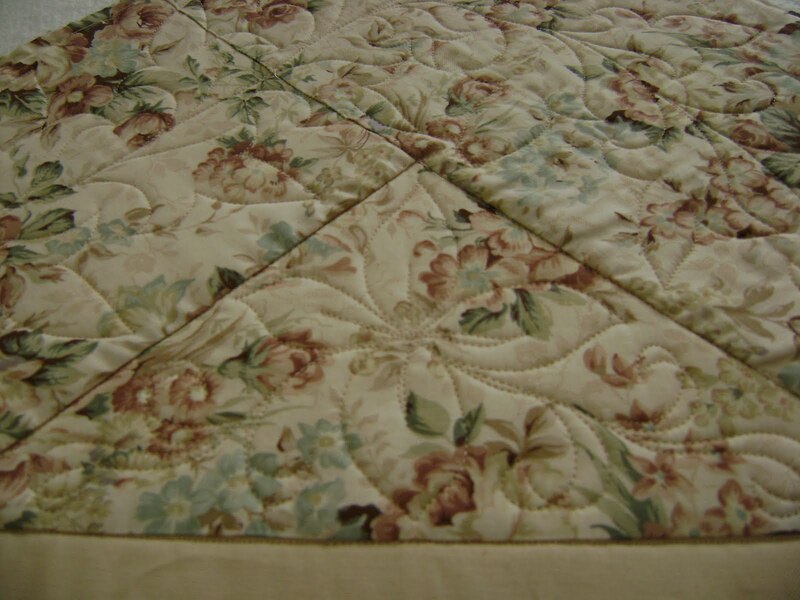 You can see the sashing design here too. Simple but gives plenty of frame to each block. 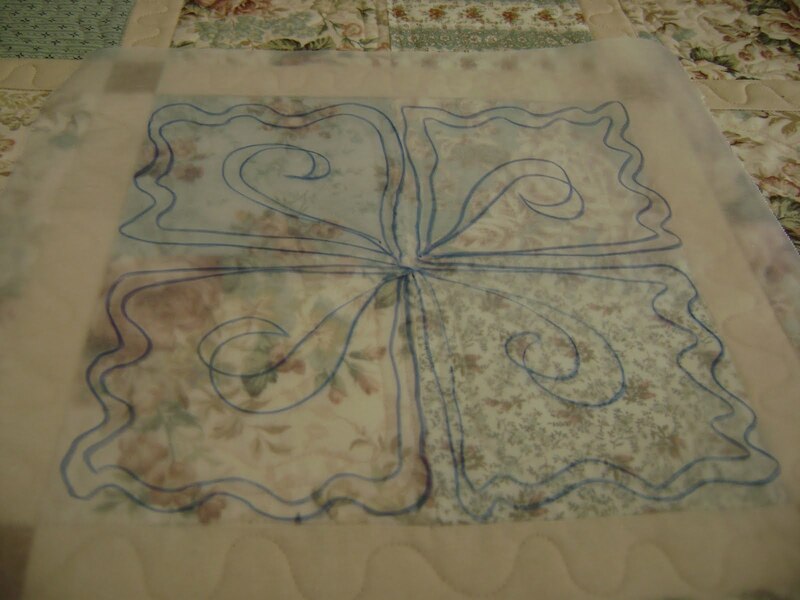 Here’s the block design on wax paper. The triangle design on wax paper. 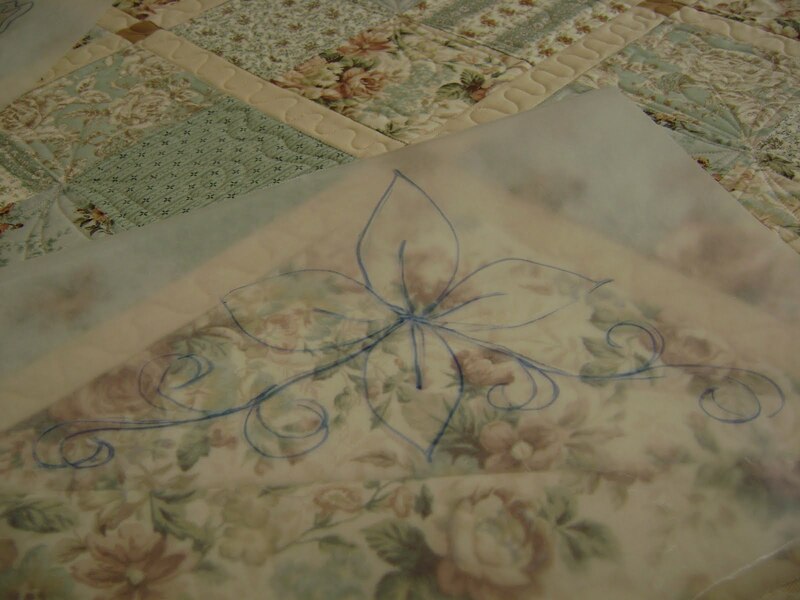 I started working on the memory quilt. Not much got finished but at least it’s a start. 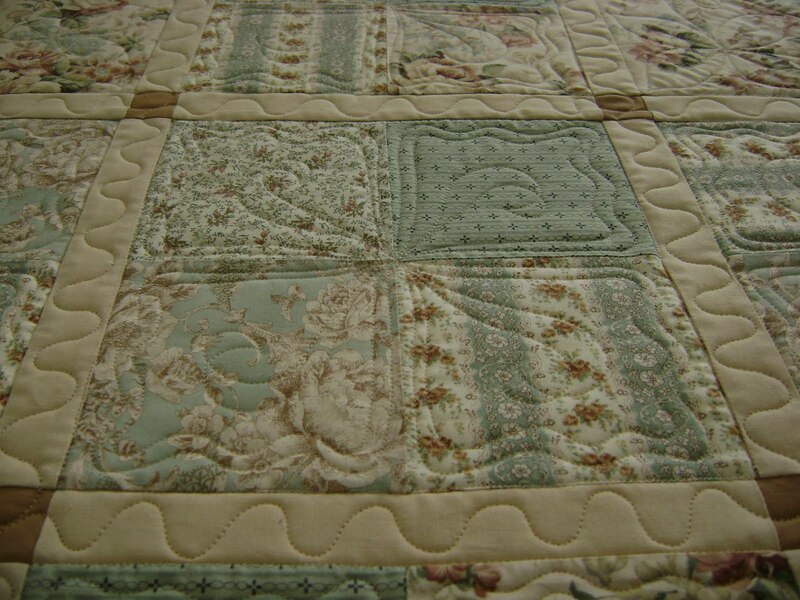 Congrats,the quilt`s very romantic and lovely. 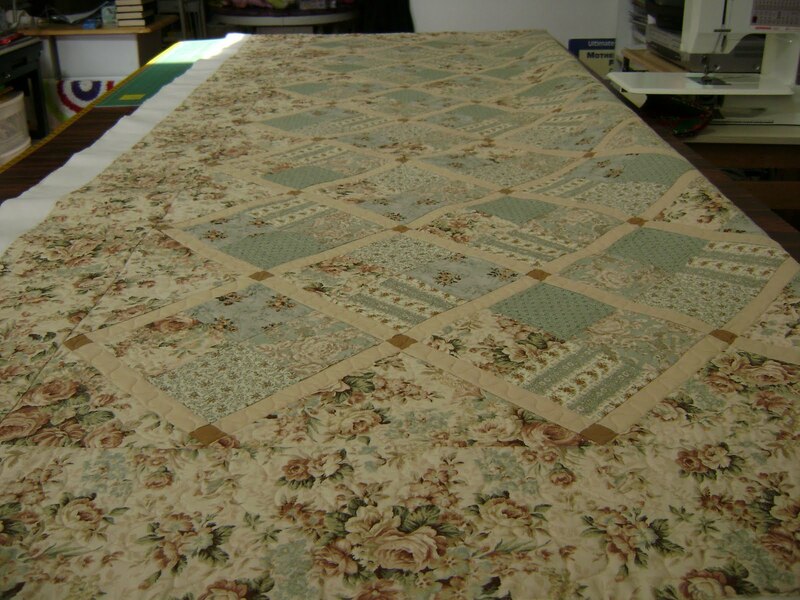 This entry was posted on February 12, 2010 by Anita in Customer quilts 2010, QUILTS - CUSTOMER and tagged Customer quilts, Longarm quilting, Machine quilting, Professional machine quilting, Quilter for hire.